I was born in Newcastle upon Tyne and moved to Holland when I was 12 for a year. My dad used to work abroad a lot during my childhood, mainly Saudi Arabia and Azerbaijan but also Holland, which is why our family moved there. It was in Holland that I really started writing songs seriously. As the only English-speaking child in my class at school, I spent a lot of time on my own and became very comfortable in my own space. I would write songs and play keyboard at home and just collect them all, knowing that one day I would be making a career out of songwriting and music. It’s strange, but it was never a question of me not doing music. I just had no other plans to do anything else. 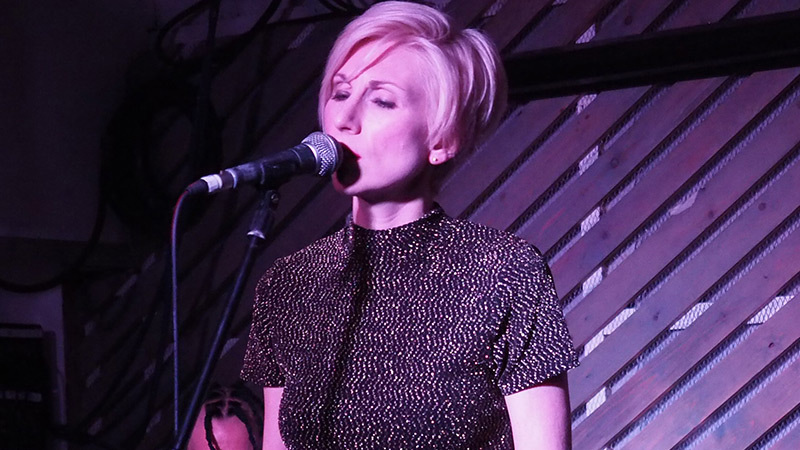 I lived in London for 13 years before moving back to Newcastle, where I live with my husband and daughter and I think travelling around and living in different places has given me plenty to reflect upon and write about in my songs. I like to think that I’m a lot like my dad in that I can’t stay still for too long before I get itchy feet. I’m also very interested in people and the more I meet and talk to, the more enriched my life has become. Again, more writing fodder! When did you first try your hand at singing? I guess I have always enjoyed singing, but more for my own pleasure rather than other peoples. I was quite a shy and reserved child growing up and hated being centre of attention, especially singing solo in front of people. I’m much more comfortable writing songs in my own home or in the studio with a producer I feel comfortable with. When I was 19 I started a band in Newcastle with three friends of mine and it was brilliant fun! I love being part of a group. We gigged around Newcastle for a few years and eventually parted, but I had caught the bug and continued writing songs, playing at acoustic gigs and recording my own demos to send out to people, and got my first publishing contract when I was about 22. How would you describe your approach to writing lyrics and songs? I try not to think about other writers or other songs, even though it is very hard these days not to be influenced by other artists. I like to play guitar and just doodle around with chord progressions, finger picking, until suddenly a melody comes into my head and I try to stay with it until I can form the basis of a song. Sometimes words just come to me before the music and so I write them down quickly before I forget. I often dream that I’m writing a brilliant song and then I wake up and I can’t remember any of it, which is extremely annoying! What’s the usual process for working with a producer on a track? I guess there are the two basic ways of working and one is to write the song on acoustic guitar or piano and send the separate parts to the producer to build the track around, or to write a vocal over an instrumental track. I find the former to be the most natural way of writing for me, as there are no boundaries as such. It was a new learning experience for me writing on top of instrumental tracks, but thankfully some have turned out really well. It’s good to push your skills and try new ways of writing as you can sometimes get a bit stale and lacking in inspiration. You met Markee Ledge a while ago now, what do you remember about your first encounters? Yeah, me and Markee go way back. I met him at a Kosheen gig in Newcastle over ten years ago now. I met the whole band in fact but Markee and Darren were really nice and we talked about music and I mentioned I was a songwriter. I then sent them a demo of my songs a few weeks later and they invited me to their studio to work on some new material. It was a fantastic opportunity for me as I was just starting out and the experience that I have gained since that first meeting has been invaluable. I toured with Kosheen and supported them during their Damage European tour and have also released countless tracks with them under different aliases, such as Kosheen DJs, Decoder & Substance and now Markee Ledge for his solo album. I have performed at Glastonbury Festival, Koko in London and many other big venues and festivals over the years. The whole journey so far has been fantastic. Also working with Kosheen has opened up many other doors in the industry too and I have collaborated on tracks and had success with producers such as Kat Krazy, Danny Dove, Ben Preston, DJ Shogun to name a few. What’s it like working with Markee? I said to Markee recently that out of all of the producers I’ve worked with over the years, it’s him that I feel so free as a writer and recording artist. Markee is very easy to work with, as he’s always interested in whatever you bring to the table. He’s very open to your ideas and I never feel inhibited or nervous about what I’m about to send him. Markee puts his ‘all’ into his music and it’s good when you’re both on the same page and as excited about what you’re working on as each other. He’s also a really nice guy and very considerate of others. It’s a real pleasure to not only work with Markee but to perform alongside him on stage at the live shows? OK enough about him! Haha! I wrote a track called ‘Falling’ a long time ago, another song that came easily. I always felt it had great potential with the right production and so when I met producers Danny Dove and Ben Preston, they both said they’d love to work on the track and the result received a lot of support from Radio 1 and reached number one in the UK dance chart. It was the most amazing feeling hearing it for the first time on prime time Radio 1, Fearne Cotton announcing it and hearing Chris Moyles in the background shouting about how he loved the tune! Moments like that are priceless. It’s not all about getting recognition on commercial radio, but knowing how competitive the music industry is and also how saturated it is with artists and producers fighting to be heard, I think it’s a pretty decent achievement. Cheers! A nice easy question. Hmmmm… OK alive, Prince. Dead, Michael Jackson. 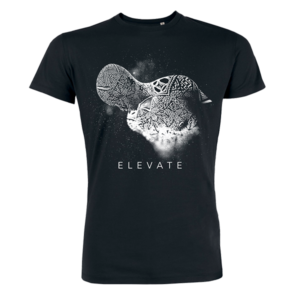 What can you tell us about your contributions to the Elevate album? What I love about this album is how diverse it is. No one track is the same. 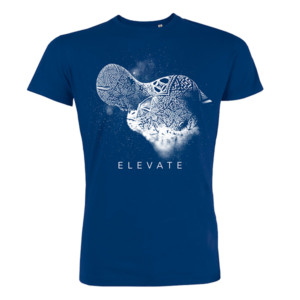 Out of the five tracks that I wrote with Markee, I think Elevate is the one that sticks out the most for me, as I think the subject is very poignant. I wrote the lyrics to the song quite easily, like it was a kind of nursery rhyme. It’s nice when ideas come so quickly! 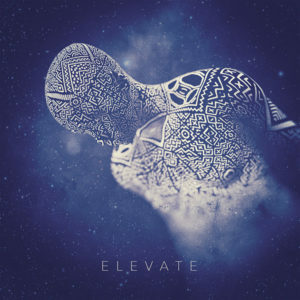 I’m glad Markee connected with it straight away and chose ‘Elevate’ as the album title too. The other tracks, like ‘Colours’ and ‘Picture Perfect’, were written further back and I’m really glad that they’re part of this album as they meant a lot to me at the time of writing. I’ve known Markee for a lot of years and we have written many songs together, so he had plenty to choose from. ‘Purity’ was another vocal that I wrote quite quickly, as Darren had sent me the instrumental and as soon as I listened to it the ideas started flowing. It’s quite trippy and you can get lost in it. Almost dreamlike. How did your debut live show go at Notting Hill Arts Club? It was very exciting and a little nerve wracking, but only as it was our first show and, for me, because the crowd was full of so many familiar faces. I find it easier to perform in front of complete strangers for some reason! We had rehearsed for two days prior to the gig and it was great to get together with Alys, Markee and Mitch in the flesh. We all live so far apart from each other, we do most of our communicating via Skype or emails. So actually meeting up and rehearsing and then socialising afterwards, was refreshing and lots of fun. I can’t wait for our next gig at The Fleece in Bristol, on December 8th. What can people expect at your next live show at The Fleece show? No egos on stage! A mix of original material mixed in with some classics. Altogether a night of awesome live music! I’m writing songs all of the time and often at varied tempos and genres. There is nothing else due for release at the moment, however that may change in the next couple of months, so keep checking for regular updates!